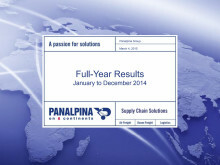 International freight forwarding and logistics company Panalpina finished the year 2014 on expectations. The Panalpina Group more than doubled its EBIT to CHF 116.7 million in 2014 compared to the previous year. Consolidated profit jumped from CHF 11.7 million to CHF 86.5 million. Panalpina grew Air Freight volumes slightly ahead of the market and clearly outperformed the market in Ocean Freight. Significant progress was made in Logistics, with the turnaround ahead of schedule. 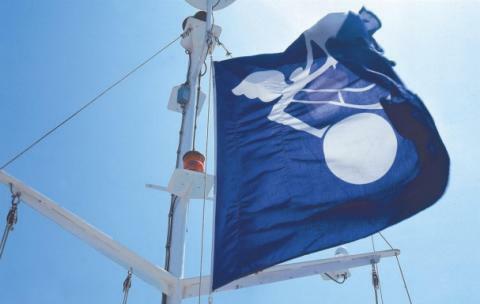 In 2014, Panalpina’s net forwarding revenue remained stable at CHF 6,707.1 million (2013: 6,757.6 million), while group gross profit increased 2% to CHF 1,586.0 million (2013: CHF 1,561.0 million). Panalpina achieved an EBIT of CHF 116.7 million for the whole year, up from a reported CHF 48.0 million last year (adjusted for fines and goodwill impairment 2013: CHF 108 million). 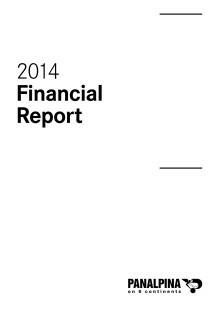 The reported EBIT-to-gross profit margin increased to 7.4%, up from 3.1% in 2013 (adjusted 2013: 6.9%). The group’s consolidated profit amounted to CHF 86.5 million; up from CHF 11.7 million (adjusted 2013: 71.7 million) a year ago. Panalpina’s Air Freight volumes grew 4% in 2014, slightly ahead of the market (3.5%). Panalpina transported 857,800 tons of air cargo last year (2013: 825,100 tons). Gross profit per ton decreased 3% to CHF 742 (2013: CHF 765), however, Air Freight gross profit stayed stable at CHF 636.3 million (2013: 631.4 million). On an operating profit level, Air Freight achieved an EBIT of CHF 112.0 million, compared to CHF 72.8 million the year before (adjusted 2013: CHF 119.3 million). The EBIT-to-gross profit margin in 2014 was at 17.6%, compared to 11.5% in the previous year (adjusted 2013: 18.9%). Panalpina’s Ocean Freight volumes grew 7% year-on-year, while the market grew an estimated 4% to 5%. The company transported 1,606,500 TEUs (twenty-foot equivalent units) in 2014 (2013: 1,495,400 TEUs). Due to continued business wins in high-volume but lower-margin business, gross profit per TEU of Ocean Freight decreased 7% to CHF 306 (2013: CHF 329), which resulted in a stable gross profit of CHF 491.5 million (2013: CHF 491.9 million). 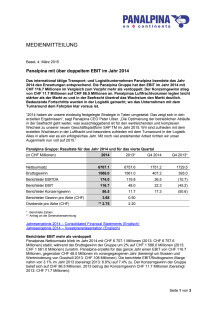 Ocean Freight posted an EBIT of CHF 12.9 million in 2014, down from CHF 25.0 million in 2013 (adjusted 2013: CHF 28.0 million). The decrease in EBIT was mostly attributable to the costs of streamlining operations and continuous investments in IT. The EBIT-to-gross profit margin decreased to 2.6%, down from 5.1% in 2013 (adjusted 2013: 5.7%). Gross profit of the group’s Logistics product continued to grow by 5% to CHF 458.2 million in 2014 (2013: CHF 437.7 million). Panalpina further expanded its Logistics Manufacturing Services (LMS) and other Value-Added Services (VAS), particularly for the technology and fashion industries. By parting with a number of loss-making facilities and unprofitable road activities, Logistics drastically reduced its EBIT loss well ahead of schedule to CHF 8.2 million in 2014, down from a loss of CHF 49.9 million in the previous year (adjusted 2013: loss of CHF 39.3 million). In light of the healthy net cash position and further improvement in profitability, the board of directors is going to propose a dividend payment of CHF 2.75 per share to the Annual General Meeting on May 12, 2015. This is equivalent to a dividend yield of 2.1% (based on 2014 year-end share price). At the upcoming Annual General Meeting, Panalpina’s board of directors proposes Ms Pamela Knapp for election as a new member of the board. 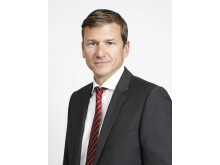 Knapp (56) is a German national and currently serves on the board of directors of Peugeot SA, Compagnie de Saint-Gobain SA and HKP/// Group AG. She has held various management positions in Siemens including Chief Financial Officer of the Power Transmission and Distribution division from 2004 to 2009. Subsequently, she was the Chief Financial Officer and HR director for GfK SE until the end of 2014. 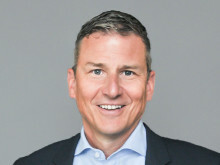 Knapp is a graduate of the Harvard Business School and holds a Master’s degree in economics from the University of Berlin. Panalpina expects the air freight market to grow by 3% to 4% and the ocean freight market by 4% to 5% in 2015. 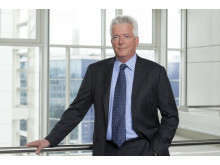 The company aims to outperform the market in all segments. Panalpina beendete das Jahr 2014 den Erwartungen entsprechend. Die Panalpina Gruppe hat den EBIT im Jahr 2014 mit CHF 116.7 Millionen im Vergleich zum Vorjahr mehr als verdoppelt. Der Konzerngewinn stieg von CHF 11.7 Millionen auf CHF 86.5 Millionen an.